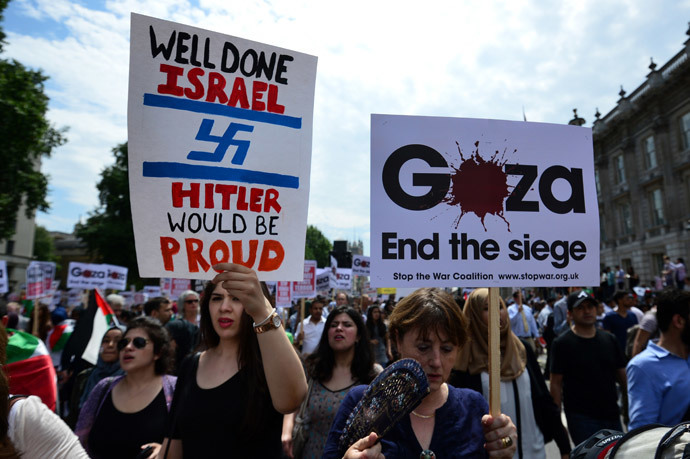 London streets were swarmed by a pro-Palestinian demonstration which gathered nearly 15,000 participants Saturday. Marching down to the Israeli Embassy from Downing Street, they chanted “Israel is a terror state,” slamming Tel Aviv’s offensive in Gaza. David Cameron’s office is located about 5km (3 miles) from the embassy. While the march itself was peaceful, several key roads downtown were closed. The death toll from the operation launched by Israel, including the ground offensive of two days ago, has now reached 400 people by Palestinian health ministry’s accounts, the overwhelming majority of them civilians. 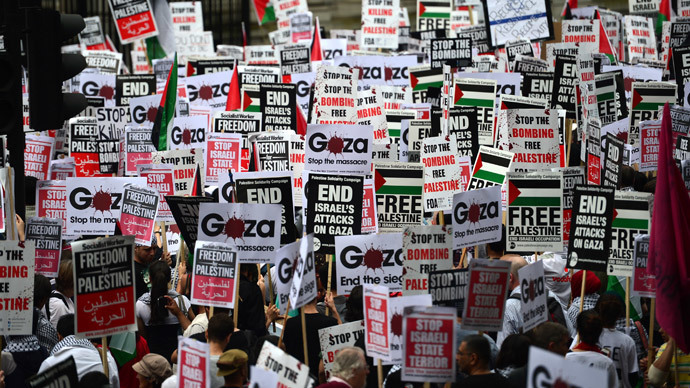 Similar to other major cities across the world, demonstrators held signs and banners asking the Jewish State to “Stop the bombing, free Palestine”, “Stop Israeli terror,” and so on. Some called it the “apartheid” state, according to the AP. 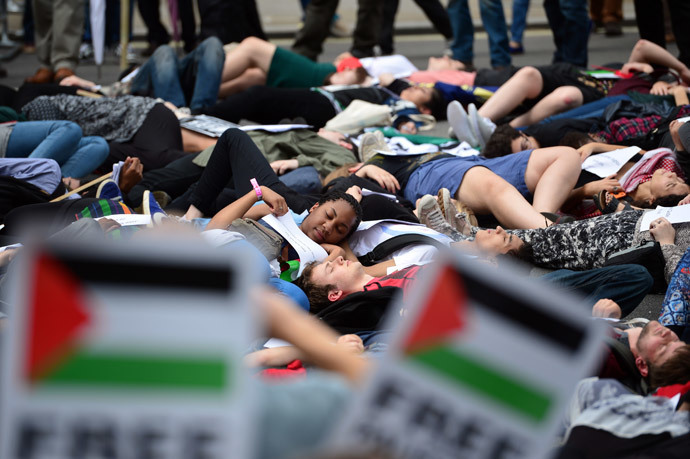 Her group, the London Palestine Action, posted photos on Facebook of its members sitting with linked hands in the lobby of the Whitehall office building at around 4-5pm. They were chanting anti-Israel slogans and were promptly removed by the police. 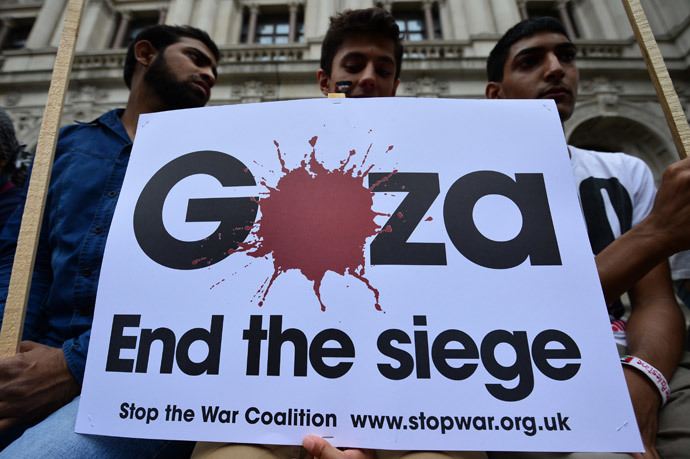 Some even locked or cuffed themselves to nearby railings, unfurling Palestinian flags and banners while demanding that Deputy Prime Minister Nick Clegg or another official from the Cabinet Office come out. 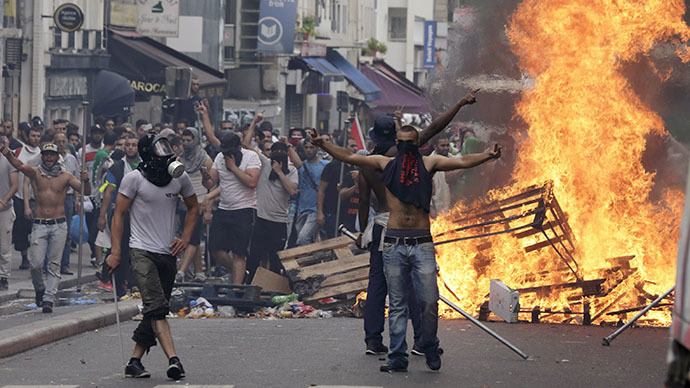 Unlike in violent Paris, however, no London arrests were made. Everyone voiced their protest also against the French ban on demonstrations in several key cities, following fears that they are a threat to public order. 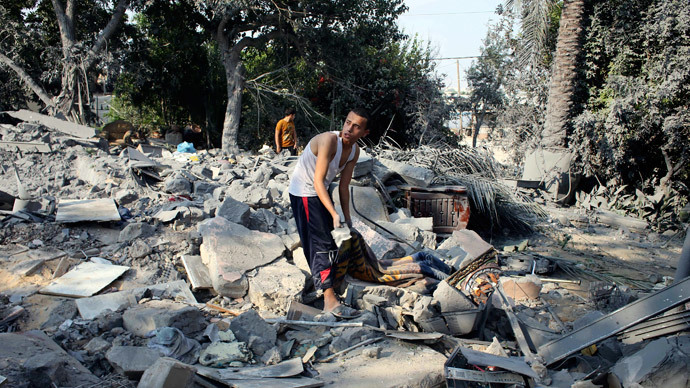 The event takes place just as 50,000 refugees have been displaced by the fighting in Gaza, with 34 UN shelters set up to deal with the influx, according to sources in the relief community. 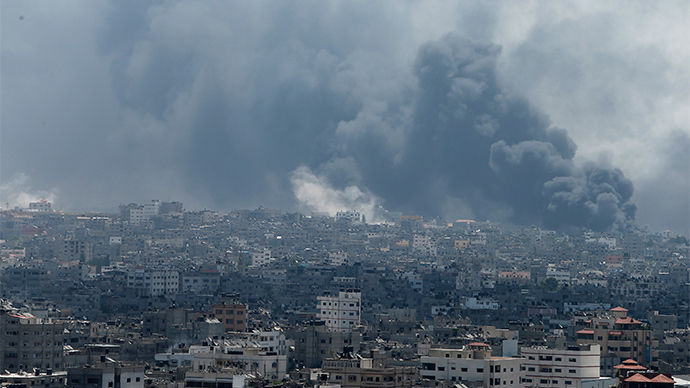 The 12-day offensive culminated in a ground operation two days ago, which itself is a reaction to Hamas unwilling to stop firing rockets into Israel. 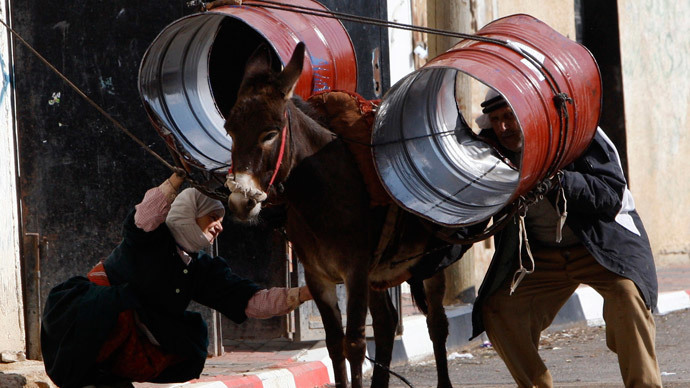 There are fears of yet more escalation as Israel is widely thought to expand its campaign from underground tunnel networks into more heavily-populated areas.